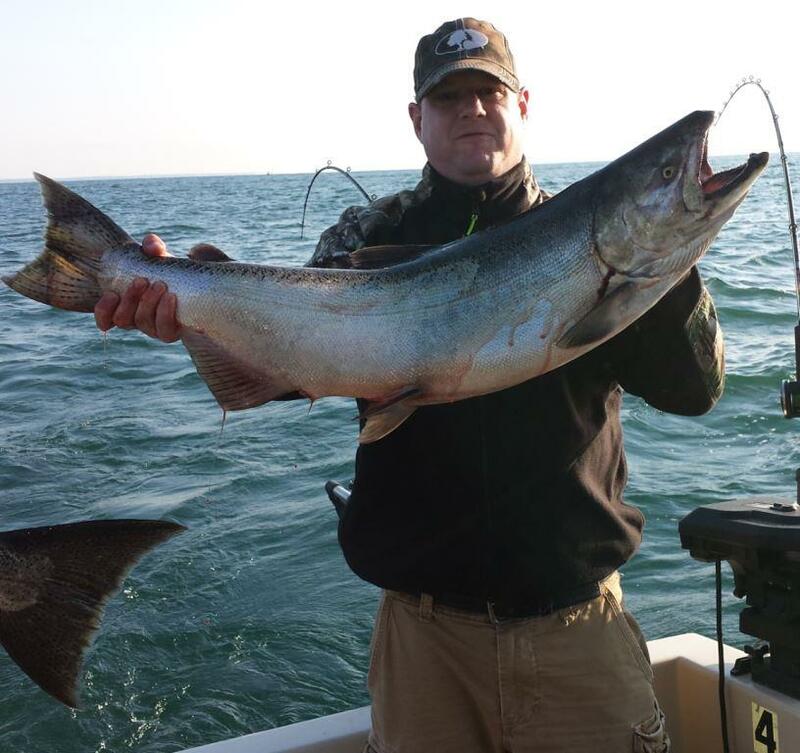 On Monday, July 30th, Lauren Zehr took part of a day off from his Lowlands Whitetail Deer Hunting Ranch to "hunt" for fish on Lake Ontario. Although there were no Kings caught on this trip, Lauren and crew managed to catch 2 nice Brown Trout and 4 Lunker Lake Trout. The fishermen seemed happy and enjoyed their time fishing on Lake Ontario giving them a break away from the hills of Lowville and the deer ranch!